Click on Add a signature. 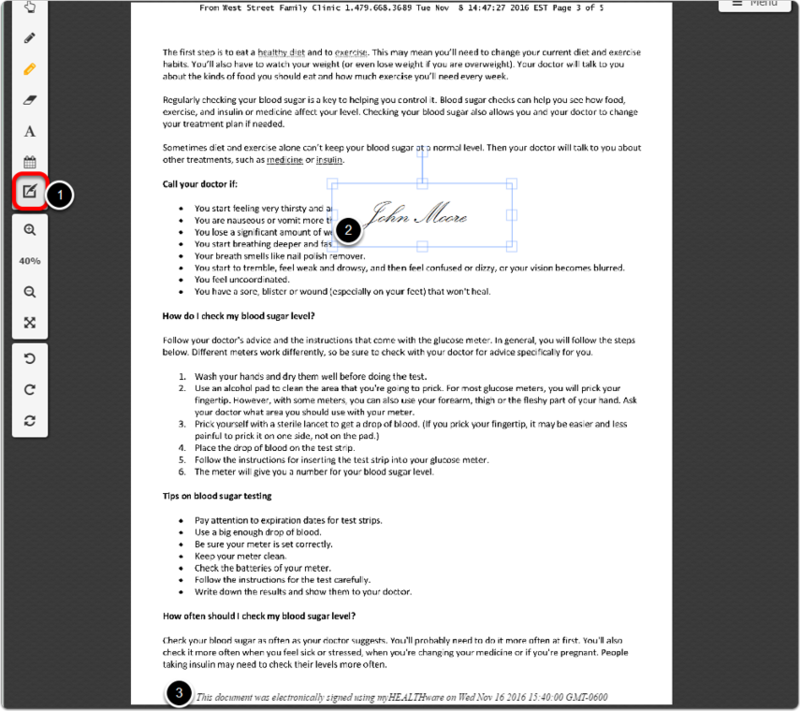 Drag and drop your signature into the upload box or click the Upload button to select your signature from a file on your computer. 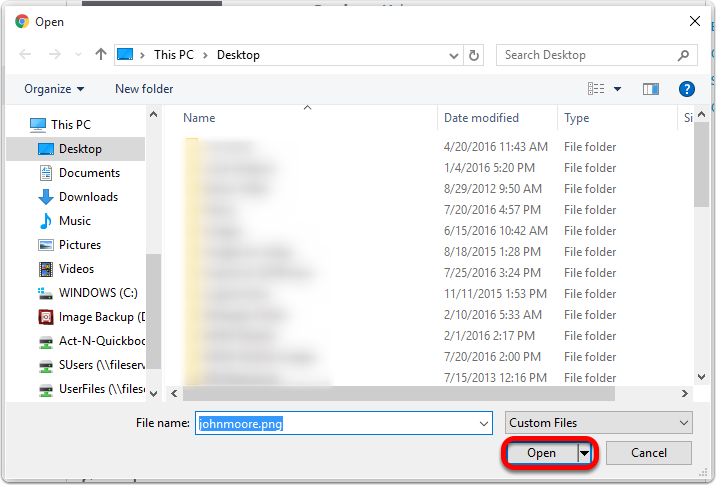 Locate the image file on your computer, then click Open. 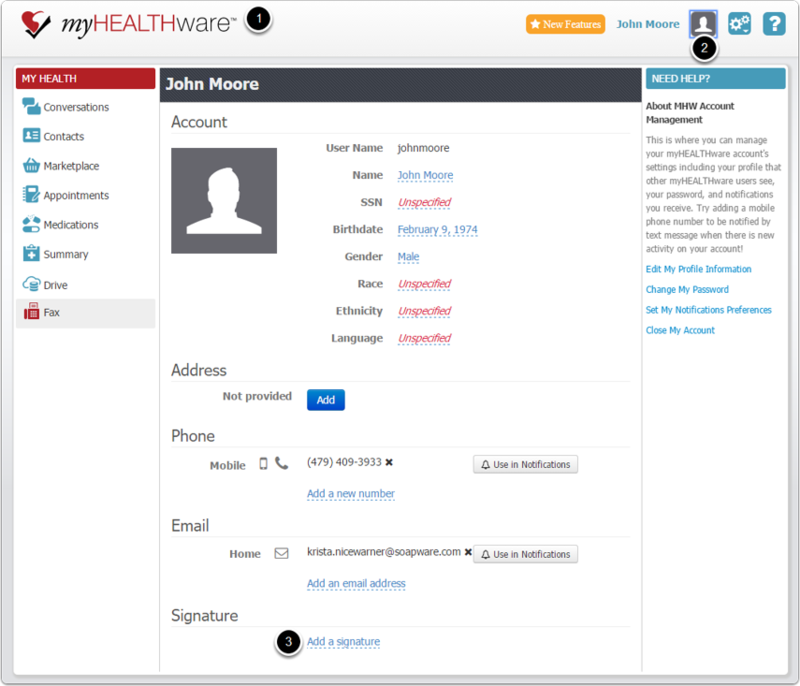 Your image will be uploaded to myHEALTHware and displayed in the Signature section. Click on the Fax tab. Select the fax or page that you wish to edit. Click Edit Pages to add your signature to the selected page(s). Click on the fax document in the place that you would like your signature placed. The image of your signature will appear on the document. You can resize or rotate the image if needed. 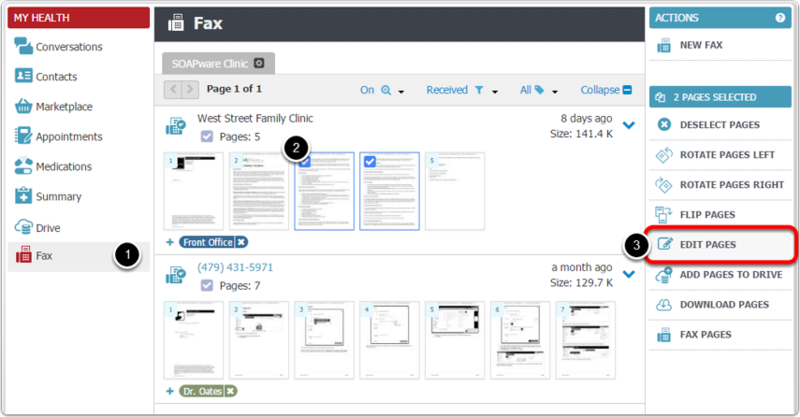 In addition, a text line will be placed at the footer of the fax that reads "This document was electronically signed using myHEALTHware on "Day Month Date Time". 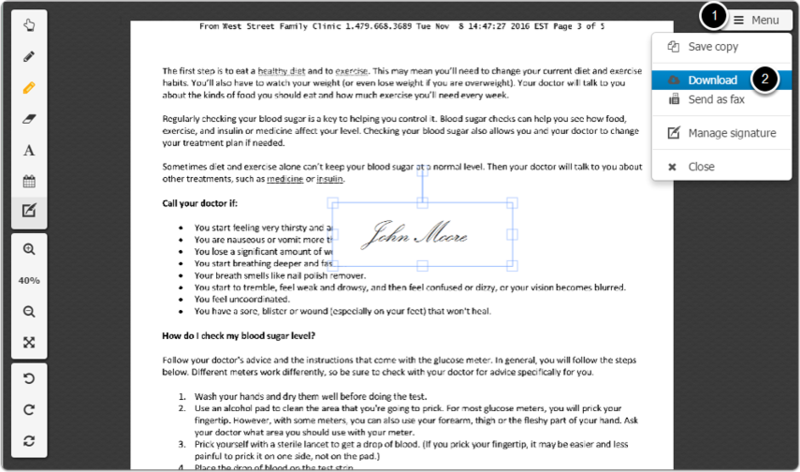 Now that the document has been electronically signed, you can save it directly to a patients chart. Using the Chart Rack, select the appropriate patient. Select the Chart Section that you wish to insert the fax in to. 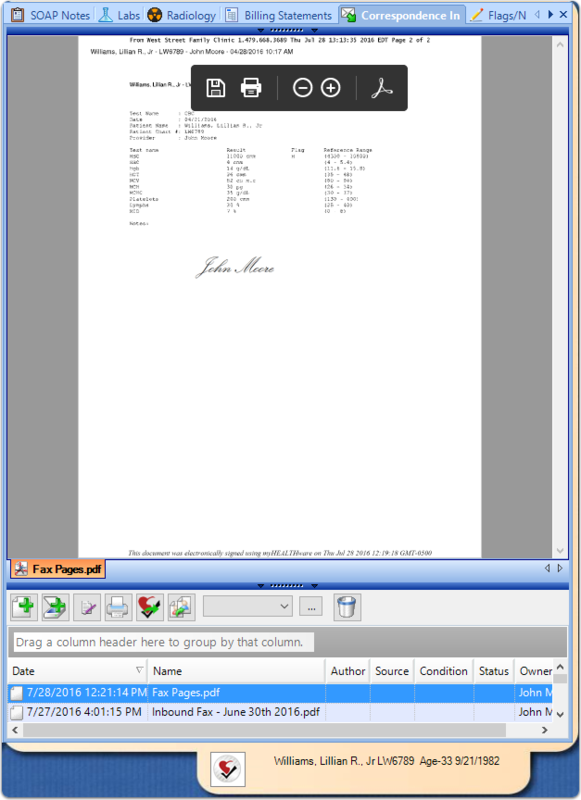 The edited fax document has now been saved to the patient chart!